Harnessing the power of nature! 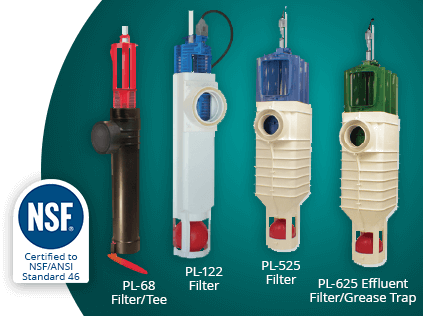 Our superior blend of products are specifically formulated for multiple applications including septic tanks, cesspools, leach fields, grease traps, drywells and pit toilet applications. 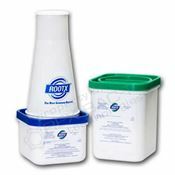 RootX Foaming Root Killer Keeps Pipes Flowing! Saves time and money. 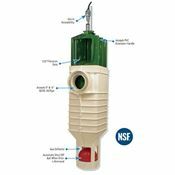 Eliminate tree root intrusion in sewer drain pipes, septic systems, leach fields, drain lines and storm drains. 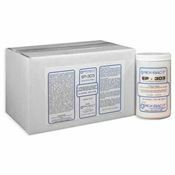 High performance products and technologies for commercial, industrial, and municipal wastewater treatment systems. Eliminate point source odors throughout wastewater systems, lift stations, wet wells, sewer vent pipes, septic tank and grease trap systems. 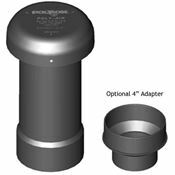 This superior line is designed to prevent solids discharge from septic tanks, grease traps, or wastewater treatment processes. 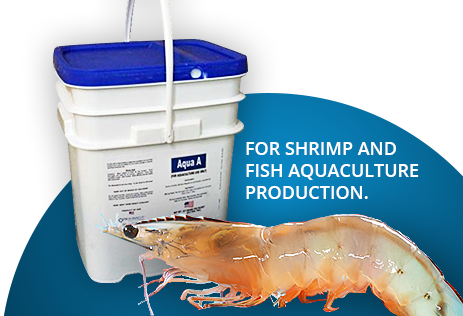 Our aquaculture products are ideal for use in global farming of finfish and crustaceans such as shrimp. 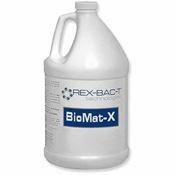 I want to express my satisfaction with the RootX Tree Root Killer and Bio-D Drain Cleaner products. Five years ago, small tree roots caused my sewer line to clog. I had a plumber snake the line. 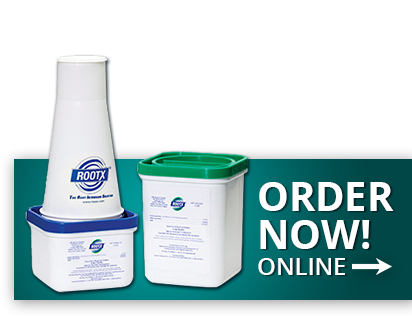 After that, I began to use RootX once per year to keep the sewer line clear of tree roots. I have had no new problems. 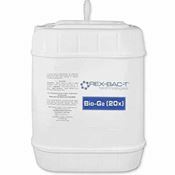 More recently, I tried Bio-D drain cleaner to fix a slow draining sink. It worked quickly to eliminate the clog. 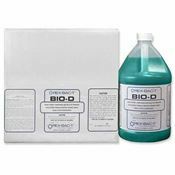 I now use Bio-D regularly to keep my drains clear. For the majority of my life, I have searched for environmentally friendly products to use in my home and business. Unfortunately, many of those products did not work as well as those with the less safe chemicals. 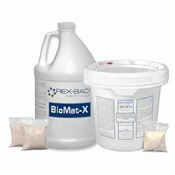 It is great to have products, like RootX and Bio-D that work well and are safe for the planet. 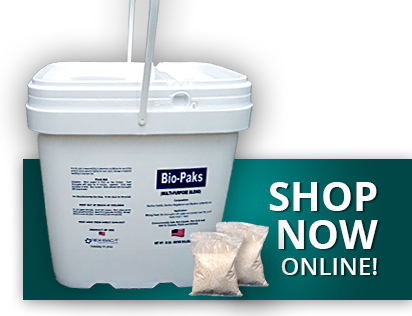 I have tried several products in order to eliminate or decrease the clogging of my Grease Trap and sewer line. NONE WORKED, PERIOD. 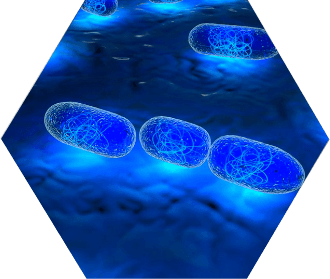 Then I tried your BIO-G grease trap treatment and........"IT WORKS". GREAT PRODUCT. I understand the basic principal of how it works, but not completely. All I know for sure is, "IT DOES WHAT YOU SAY IT WILL DO". 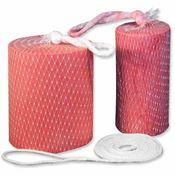 Thanks for a great product, it's an easy solution to my grease trap and sewer line problems. 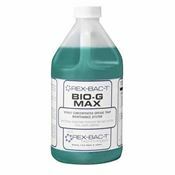 The BIO-PUMP never forgets to give the correct dose to the system, sometimes before closing my restaurant I would forget to apply the BIO-G. With the pump I no longer have to remember, thanks for one less thing to worry about. You have a great product, keep up the good work. Thank You. E.H., G P Hicks Inc. I had just built a new house and the septic system was new. Sitting on the patio wasn't very pleasant at all. The wind would change and we would get a terrible septic smell that made it hard to enjoy the outdoor views. Of course my wife was reluctant to have guests over as the smell was very noticeable and embarrassing. I installed three Odor Control Carbon Vent Filters on the three roof vents and the smell instantly went away. My wife was happy and we were able to enjoy the patio with friends without that terrible smell. It has been about five years and everything is working great. 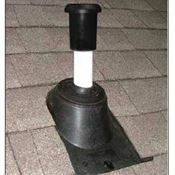 I certainly recommend these vent filters to anyone with a septic odor problem. We have a customer who is trying to reduce their BOD levels in their grease traps. Originally, their level was at 5,000. 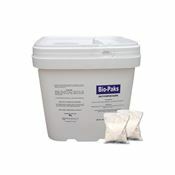 We started treating them with your Bio-G2 (20x) concentrate and they were able to reduce the level to 1,000. We have 3 systems installed currently and are treating a 1,500 gallon grease interceptors. We have ordered our third drum of EP-301. The SAGE (Société d'aménagement et de gestion environnementale) of 31 Mile Lake in Quebec, Canada, has installed 27 individual camping sites, each with a picnic table, a fire pit and a dry toilet. Our marine patrol meets with campers to sensitize them to the importance of respecting the environment. They also maintain the sites and use your product in the toilets, about once every few weeks. The result is amazingly positive: no bad odors, and a much faster composting of solid waste! Everyone having similar toilets should use this product. Thanks for developing it and making it available internationally!